It’s been 30 years since Russell Mulcahy’s Highlander introduced us all to its world of Immortals, Quickenings, and Scottish swordsmen who talk like mumbling French robots. (Not to mention Egyptian Spaniards who sound exactly like Sean Connery talking in his normal brogue.) 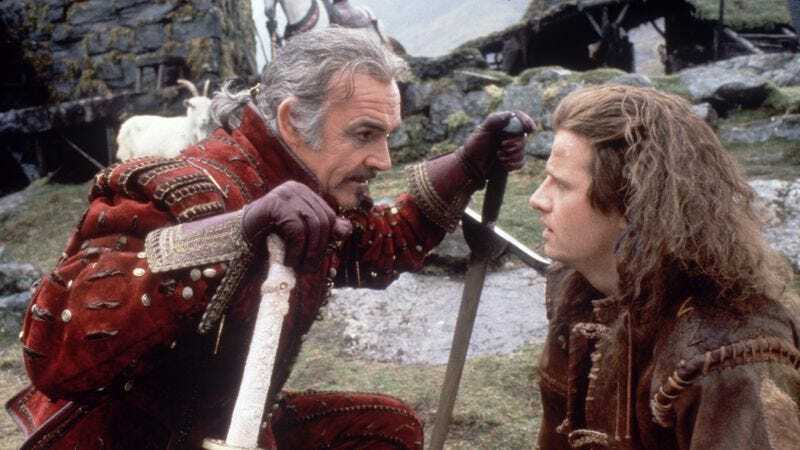 To commemorate 30 years of decapitations and Queen, The Guardian has put together a quick oral history of the film, with Mulcahy and star Christopher Lambert filling in the details of the movie’s apparently whiskey-soaked shoot.